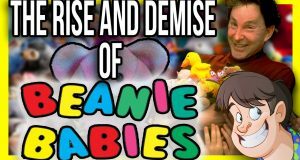 Larry tell us the history of the incredibly decietful and violent '90s craze that was the Beanie Babies. Essential viewing! 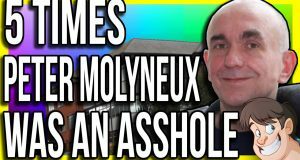 Guru Larry returns to 2018 with an all new Fact Hunt, and it's finally about that bald guy he's always making jokes about! 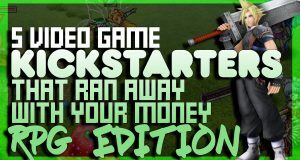 This episode of KickScammers takes a look at 5 Role Playing Games pitched on Kickstarter and Indiegogo, but worse than failing to deliver, they scammed the poor funders out of their hard earned money. 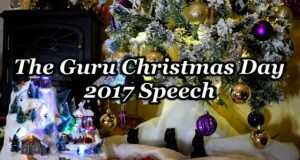 Guru Larry tells all the events of 2017, as well as what exciting videos he has lined up on Channel Awesome for 2018! 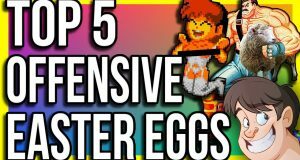 Guru Larry digs into 5 forgotten Offensive Easter eggs that publishers probably would have preferred left forgotten. 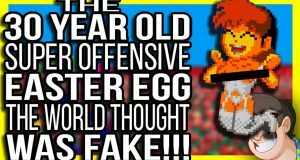 Guru Larry uncovers an incredibly bizarre Easter egg buried in game code, that the world believed was fake. The season to be jolly is upon us once again, but that doesn't mean that incompetence, ignorance and corruption take a break for the holidays, as the Kickstarter fails in this special episode clearly show! 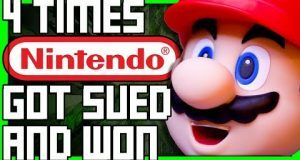 4 Times Nintendo were Sued and Won! There's plenty of stories of Nintendo suing others, but what about the times companies sued them? Larry takes a look at five gaming systems that suffered from completely screwed up launches, some even destroying the company! 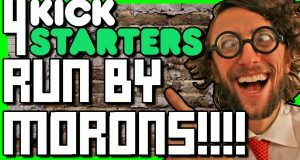 There's been many videos about KickStarters that have been ruined by corruption, but what about the failures due to the creators being complete idiots?